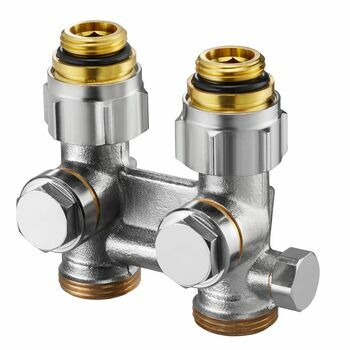 CEW solating fitting "Multiflex F"
OVENTROP-CEW isolating fitting "Multiflex F"
CEW fitting preset to one pipe operation (radiator share of 35%), convertible to two pipe operation. 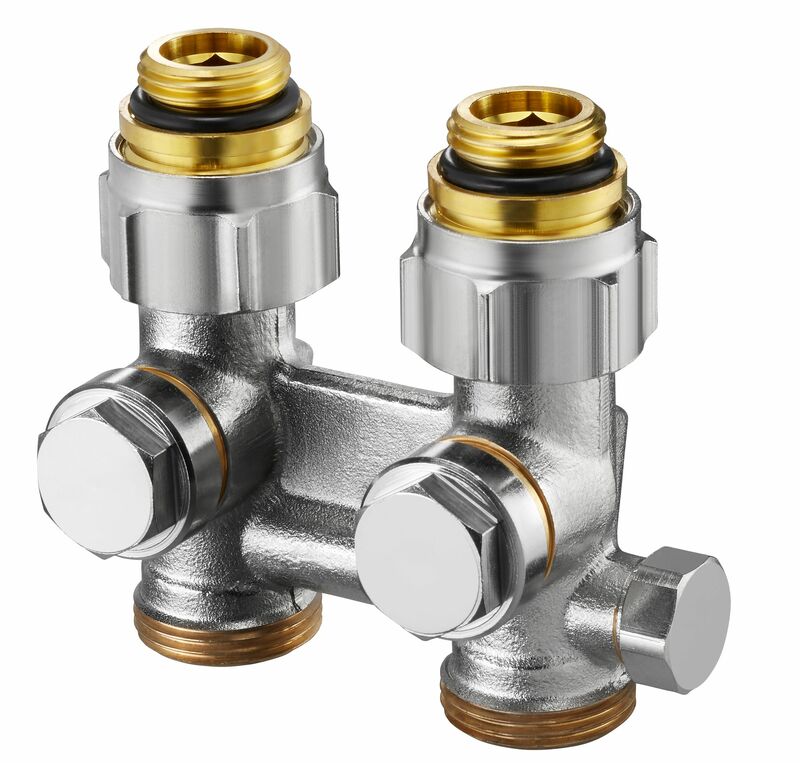 Made of brass, nickel plasted, distance between pipe centres 50 mm, self sealing to the radiator. For isolating, draining, filling and with presetting.